For those cosmetic bargain hunters out there – be warned! There are no shark sirens to help you spot the growing number of cosmetic sharks preying on price-sensitive consumers. Until regulation tightens, cosmetic-junkies need to become cosmetic-safety-savvy. Here’s an Industry Insider Guide to help you avoid dodgy cosmetic clinics. If you are like the majority of Aussie’s who have embraced cosmetic injectables and are seeing cosmetic clinics as regularly as hairdressers, then I suggest you read ahead! Dodgy cosmetic injectors are out there! Recent Sydney raids of Cosmetic Clinics discovering unlicenced nurses and illegally imported products is just scratching the surface of an industry littered with horror stories of botched procedures and fraudulent practices. Dodgy Cosmetic Clinics are hard to pick to an untrained eye because they charade as medical clinics. Most cosmetic consumers can’t pick an UN-qualified Injector, UN-branded products or OVER-diluted product. If you have had anti-wrinkle injections, a vampire facials or fillers, I suggest you take try this Quick Safety Test first. If you can’t confidently answer all the questions then maybe you need to consider whether you are a safe cosmetic consumer. 1. 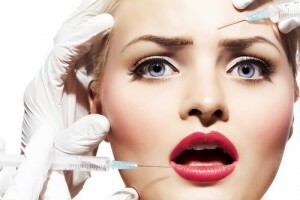 Do you know WHO prescribed your anti-wrinkle injection or filler? (Not sure? 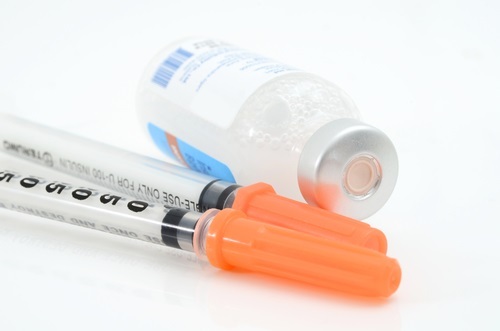 Did you know Injectables are actually a prescription medicine and must be prescribed by a Doctor. A nurse may only inject on behalf of that prescribing Doctor. 2. Have you ever met your prescribing Doctor? 3. Did you sign a consent form, have clinical photographs taken, given post-care instructions and a follow-up appointment? 4. Was your injector a Doctor or a Nurse? 5. Can you name the products they used, how much was given to you? For those who want safe cosmetics then choosing professional clinics is super hard (especially when they are probably on the second page of your google search) and usually part of Facial Plastics, Dermatology or Plastic Surgery Clinics (which often seems more intimidating and expensive than your local hair salon or eyebrow bar). Perhaps you haven’t even seen these places because they don’t advertise heavily or offer deals or any enticements – oh that’s right, that’s because they ARE actually medical facilities following AHPRA advertising guidelines! Next time you get injectables, try these 6 fool-proof questions to pick Dodgy cosmetic injectables. This is a no-brainer way to detect a non-medical facility. Always beware the injector that takes cash in the rooms or gives you deals for cash. Cash deals have no place in medicine. This is highly unprofessional. Stories of injectors not giving invoices or receipts listing the amount of units or product used should make you suspect. If they stutter and can’t confidently tell you they are a Doctor or a RN (Registered Nurse) I would walk out the door. Medical procedures should have appropriate medical training because when something goes wrong, you want to be in the right hands. Inexperienced injectors are easy for industry experts to spot but may not be so obvious to people looking for a quick deal. Injecting is an art form and experience counts. Don’t feel embarrassed to ask how long they have been injecting for and reviewing the Clinics “Before and Afters” are a brilliant way to assess the experience of the clinic. Bingo. This question is your best protection. If you don’t get the opportunity to discuss your medical needs and concerns with the supervising and prescribing Doctor of your injectables then you are not being medical supervised. Simple. Your anti wrinkle injections script needs to be issued annually by a Doctor and if you don’t know who your supervising Doctor is on your first visit, then you are not in a medical facility. Asking about alternatives is always a winner. If all they have is injectables then all they will offer is injectables. Truly professional cosmetic medical clinics should be able to assess an area and offer more than one option of care. Also don’t be pressured to do more than you want in cosmetics. Less is more and you should build up your confidence. So don’t do more or things you never planned for. Sleep on it. Follow up is just as important as the treatment itself. True professionals will take Before photos for medico-legal reasons, document your visit and arrange a follow up appointment or phone call a week later. A simple way to screen for a diligent injector who cares about the results and not about just selling the injections is follow up. IF no follow up for touch ups or a check up is arranged then perhaps consider not returning! Look yourself! If they are not drawing up from a Labelled bottle (in the case of anti wrinkle injections) or Labelled pre-filled syringe (in the case of dermal fillers) then you cannot be 100% certain you are getting the product you think you are paying for. Sadly, cut-price cosmetics now risks the profession as a whole. Which is devastating for those skin, laser, tattoo removal and cosmetic businesses that play by the book, have on-site medical Doctors, treat patients holistically and safely and use quality Branded products. Fingers crossed, cosmetic consumers start seeing beyond the smoke and mirrors and start becoming patients (NOT CLIENTS!) of legitimate cosmetic medical practices trying to uphold excellence in the industry. Dr Suzan Bekir MBBS (hons1) FRACGP is a GP medical educator and Clinical Director of collective.care, Taylor Clinic and Dr Ink Tattoo Removal. She runs an accredited GP Special Skills training program for Allergy, ENT, Skin, Laser and Cosmetics. She was instrumental in creating the GP shared.care Clinical Model of collective.care specialist clinics built for primary health care and designed for the Health Care Homes of the future. The Ultimate Lazy Girls Guide To Spring Clean Your Skin… In Just Minutes.